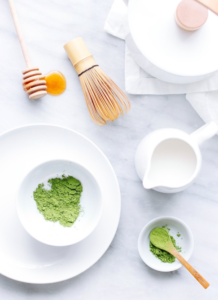 The thousands of articles and blogs on matcha fall into two main groups: “Wow!” and “What?” Wow focuses on some aspect of how matcha has become both a favorite among tea, coffee, latte and alcohol drinkers, a dessert delicacy, an exotic cocktail and health supplement. It seems a very unlikely candidate to have created such a revolution. 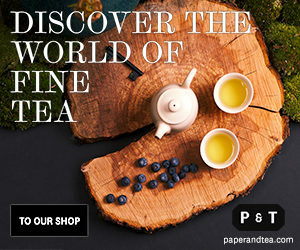 For 800 years it was a luxury tea involving unique and complex harvesting and processing. Its best grades are still categorized as ceremonial, with a clear class distinction in the contrast with culinary matcha. It comes with a paraphernalia of bamboo whisk, bowl and scoop for serving. Relatively few Earl Grey or latte lovers would have ever sampled it. It’s Kinda Weird, too: bright green powder, the only tea where the leaf is ingested, not strained out from the tea liquor and chemically 137 times higher than green tea in cate-oojams. It contains caffeine but the opposite sort from other tea and coffee. Then there’s thick and thin which are the same but very different. All of which sets up the What? 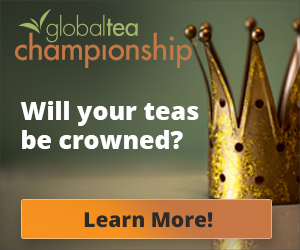 theme – just what is matcha and what do you need to know to find the best quality and value? There are excellent and informative accessible technical, scientific and tea-ological answers but it may be more helpful to simplify them by focusing on three key aspects of matcha: baby powder, vinyl blanket and 3,000 yen. Together, they capture the main differences among matchas. Baby powder is the most common descriptor for the texture of fine matcha. It feels soft and smooth when you rub a small amount between your finger and thumb. The size of the particles is 5-10 microns – millionths of a meter. Lower grade matcha is coarser and averages 15 microns. That simple difference in texture makes for multiple differences in the complexities of flavor and taste. Matcha begins as the same leaf as other Japanese green teas, such as sencha. 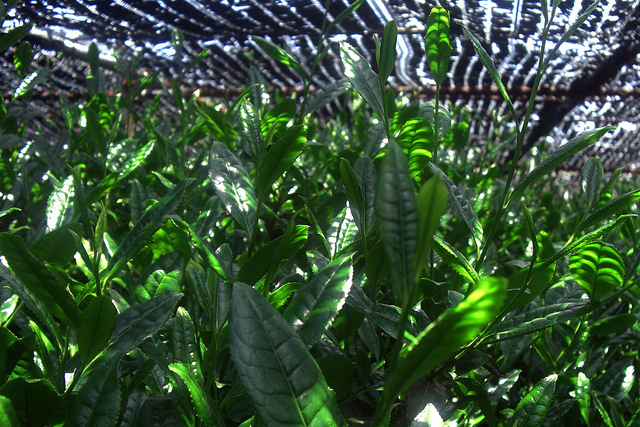 A series of interventions to the natural tea process create the fine powder that distinguishes Zmatcha. There are other powdered greens but they are not matcha. Most China teas marketed as matcha are generic powder. They are decidedly inferior for tea drinking but adequate for ice creams, sugar-laden lattes and cakes and the matcha beer and cocktails coming onto the market. The interventions start in early spring. The natural growth of the young leaves is altered by shading the bushes with blankets for 20-30 days before harvesting. That shuts out light and boosts the production of chlorophyll. This both creates the bright, “electric” green that is a main indicator of matcha quality and transforms the chemical composition of the young leaf. 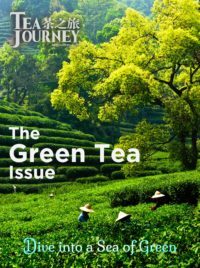 It intensifies the amount of amino acids and antioxidants associated with potential health benefits of green teas: l-theanine and EGCG (epigallocatechin gallate) in particular. A meticulous and path-breaking research project found that the concentration of EGCG is 137 times higher than ordinary China green tea. This process can be made much cheaper and faster by using ball- or air-pressure milling. But to date no machine substitute matches the traditional method that produces particles 5-10 microns in size versus 15 for coarser grades. This is very creamy and whisks easily and smoothly, with no lumping. The green powder looks terrific: bright, fresh and enticing. Powdered green tea by contrast is generally more yellow-ish and dull and for the cheap China pseudo-matcha a drab brown. The baby powder quality is apparent in the taste of the tea. There are two strengths in serving matcha: thick “koicha” and thin “usucha.” Koicha uses as much as four grams (two small scoops) of powder versus one gram for usucha. Usucha is whisked to make a rich foam – “crema”— while thick matcha in effect massages the powder into the water, with no foam at all. 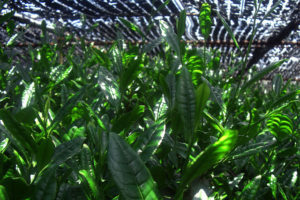 Blanket refers to the key characteristic of growing leaf for matcha: shade-growing. The bushes are covered for 20-30 days in the early spring to shield them from light. The covering is generally black vinyl sheets; there are various types of scaffolding, wire caging to regulate the pace at which light is reduced, careful attention to location, much work done in hours of darkness, and selectivity of leaf in harvesting. The principles of shade-grown versus sun-grown farming are to boost chlorophyll production, broaden th e leaf structure and make it thinner in preparation for the deveining and grinding. Sun-grown tea breaks down amino acids and converts them to catechins that increase bitterness in the flavor. Shade-growing maintains the concentration of amino acids to build sweetness with almost no bitterness. It increases the concentration of one of these. l-theanine, which has been shown to help reduce stress and improve cognitive functions. L-theanine also helps slow the absorption of caffeine. Matcha is high in caffeine and strong in taste. The caffeine is alkaline versus the acidic coffee equivalent. It dissolves more slowly in the bloodstream to give a pleasant boost with no rush. The details of the chemistry of shade-growing are very complex and subtle. The punchline is simple: non-shade grown green tea powder and imitation matcha are much more bitter. Real matcha grows in the dark. Finally, the 3,000 yen figure is a strong reminder that the best matcha is Japanese and expensive. ¥3,000 yen is roughly $30. That is the typical cost for a single ounce of ceremonial grade matcha (25 cups of “thin” or 12 of “thick” tea). Chinese and Taiwanese matchas cost half that. Just about every survey concludes that Japanese ceremonial matcha is the only choice for tea drinking, though for foods the cheaper culinary powder from China is good enough. The cost difference is inherent and inevitable. It reflects the complexity of production plus the constrained supply. Japanese output of ceremonial matcha is no more than 2,00o metric tons (figures are hard to pin down for a variety of technical and procedural reasons) out of a total green tea volume of 100,000 tons. Only 2-4% of this is exported – well under 100 tons. 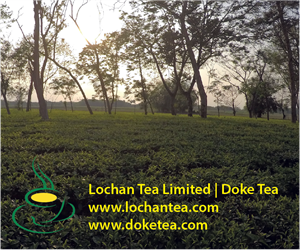 Compare this with the 8,000 ton production, almost all for export, of Darjeeling, another prized, expensive and scarce premium tea. 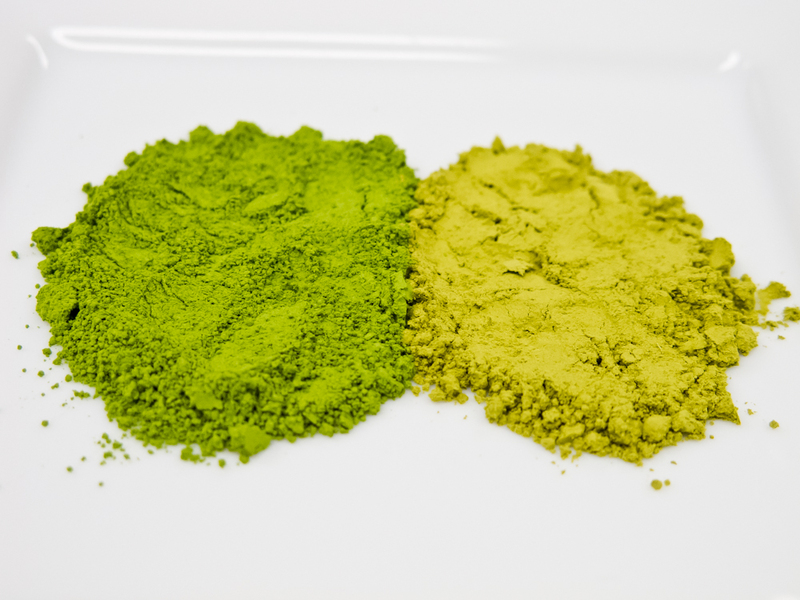 The global surge in demand is being met by “matcha” green tea powder from China and Taiwan. Initially, this was low-quality and targeted to bottled ice tea and flavored foods. As the premium market for matcha expanded, growers began to “approximate” the complex and meticulous Japanese processes of growing and processing, including shading and grinding. Approximation is not equivalence. Roll grinders, for instance, approximate granite millstones but chomp rather than remove stems and veins. In general, the China matchas are nowhere close to Japanese ones. China makes superb sun-grown green teas so this is not just a matter of knock0ffs and cheap substitutes, though these are all too commonplace. Apart from the high cost of producing true Ceremonial matcha, the terroirs of Uji, Kyoto and Nishio city, where 80% of the best Japanese matcha is made, are very different from those of Southwest China. The skill base is lacking, too. The ¥3,00o price per ounce is typical of the best matcha. That’s $30 and is expensive. The leading vendors appear to keep their prices within about 5% of each other. If you buy matchas advertised at half the going price, it is very unlikely you will be pleased with the result.